We are pleased to announce the second series of one-hour webinars on the dealer benchmark data collected during Solomon Coyle's FY 2016 Operational Performance and Financial Benchmarking Survey. The presenters, David Solomon and Paul Holland, will take attendees on a deep dive into the use of our online Dealer Benchmark Tool. They will focus on how to use the new tool to target areas that represent the dealer's biggest improvement opportunities. People who may have missed the first series of post-survey webinars will also benefit from seeing the basic mechanics of the Dealer Benchmark Tool in action. The current Dealer Benchmark Tool in effect is the final report of the FY 2016 survey. The tool incorporates dealer benchmark data submitted by 268 dealers aligned with Allsteel, Haworth, Herman Miller, Knoll and Steelcase. It is truly the industry-standard resource for aligned dealers who are focused on increasing margin, lowering overhead, and improving overall financial results. This year’s Dealer Benchmark Tool makes it easier than ever to measure dealer performance and incorporate Solomon Coyle data in the dealer's planning process. Using the tool, you can quickly and easily find relevant dealer benchmark data and select the comparisons that are most meaningful to your business. You can also quickly identify areas in which your firm excels or needs improvement. A significant advance in this year's reporting is how easy we made it to bring Solomon Coyle dealer benchmark data into your familiar desktop work environment. 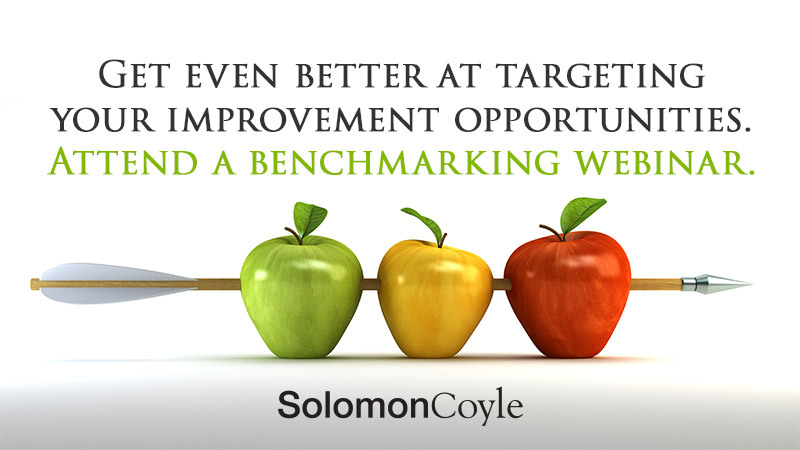 With a click of your mouse you can now export Solomon Coyle metrics and data into Excel worksheets and thereby use the benchmarking results as part of your budget building and performance tracking. Invitations to attend one of the webinars will be emailed to participating dealers immediately following the Fourth of July holiday break. The email will contain a link for online webinar registration. Webinar days, dates and times are listed below. All times are EDT. The webinars will run an hour or less and will include time for Q&A. Would it be possible to receive another email with the link to register for the Allsteel webinar on Monday 10/23?